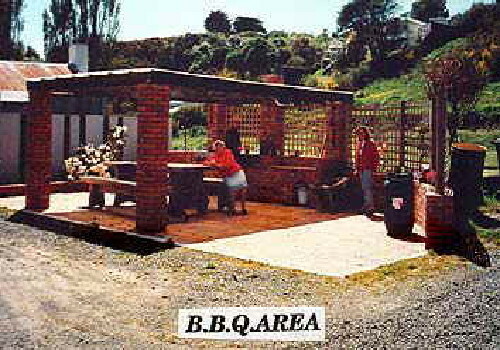 The Portobello Village Tourist Park is a holiday park on the Otago Peninsula and a delightful place to stay. 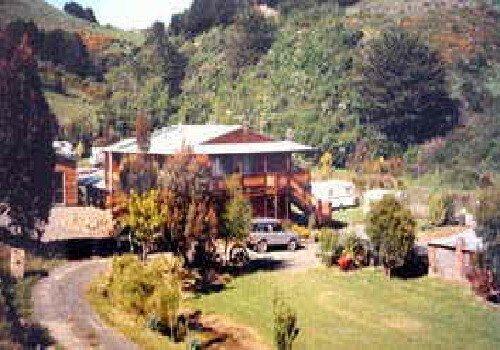 We are a quietly situated holiday park right in the centre of the Otago Peninsula, in Portobello at the hub, hence our wagon wheel symbol. 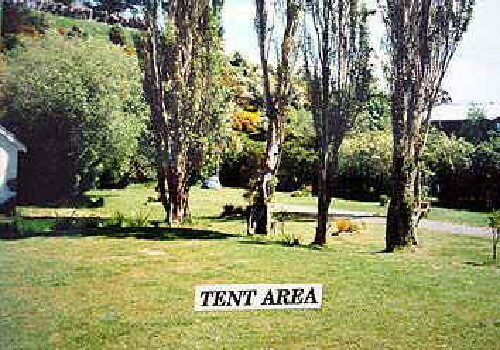 We offer excellent camping facilities along with tidy backpackers rooms and delightful tourist flats. and surrounded by trees and shrubbery. Our facilities include a modern kitchen, coin-operated laundry and excellent shower and toilet amenities. 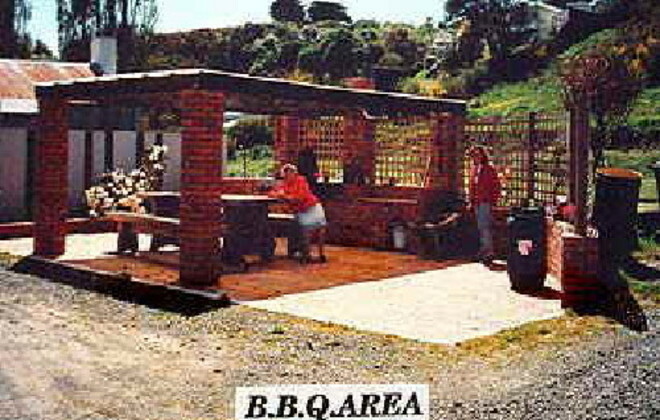 There is also a great covered barbecue area for cooking and eating in the outdoors. 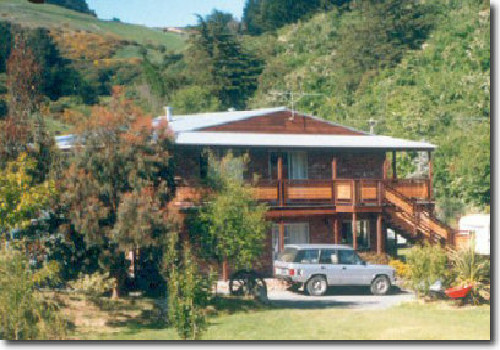 The backpackers rooms can sleep up to 4 but there is no sharing, and they are conveniently located near the facilities. Our tourist flats are a studio-type with a double bed, en-suite bathroom, kitchen, tv and are well designed and tastefully decorated. The Tourist park is only a 5 minute walk from good village services. There’s a local store, a service station, coffee shop, takeaways and a fine restaurant. A hotel for local conviviality and bottle shop supplies and packaged ice. A great place for a walk or mornings run is just behind the village along Hatchery Road toward the Marine Studies Centre, or the more energetic can go out around the inlets where there are wading birds. The camp is a quiet retreat after a long days driving and guests enjoy the evening birdsong. There are many and varied things to do once here and it is best to plan your time well as you could easily fill in many days. The Otago Peninsula is a special place known worldwide for the colonies of Royal Albatross and Yellow-eyed Penguin. The many international visitors who come to visit the Otago Peninsula are in awe of the beautiful landscapes, the wonderful wildlife and the peaceful surroundings, which are an everyday pleasure here. Why not bring your bike or hire our mountain bikes so you can explore around the inlets and enjoy the sights and sounds of nature. Portobello is only a short drive from Dunedin but you will soon realize there are many interesting things to see and do here. There are beaches to stroll along, tracks for walking and mountains to climb. There are seals and sea lions, wading birds, fishing and a marine studies centre. A local museum, impressive historical buildings and lovely gardens to view. Art Galleries, Weaving Studios, Antiques and a variety of crafts. The choice is yours. By clicking "Submit" you certify that this review is based on your own experience and is your genuine opinion of "Portobello Village Tourist Park" and that you have no personal or business relationship with "Portobello Village Tourist Park" and have not been offered any incentive or payment originating from "Portobello Village Tourist Park" to write this review.